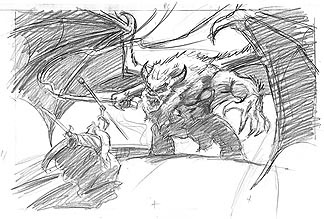 Lighting study of Gandalf facing down the Balrog in the Mines of Moria. This Drawn for a private commission in 2002. Rendered Pencil on a Xerox copy.